Indiana United Ways is pleased to be able to partner with the Community Foundation of Greater Fort Wayne and the United Way of Allen County to continue to bring the Paul Clarke Leadership Series to the Greater Fort Wayne Area. How do I get the most out of this series? Attend every session yourself because you will find that the learning builds on what came before and prepares you for what is to come. What is the cost? Sessions are $35 each. NEW this year: if you sign up for the Series Option, the cost is $275, a savings of $40. If you sign up for the Series Option, we ask that you appoint one contact person who will confirm attendance at least 5 days in advance of the session so that we can make proper arrangements for food and handouts. Major credit cards and Paypal are accepted through the online registration system (scroll to the registration buttons). What are the dates and times? All sessions begin promptly at 9:00 a.m., with doors opening at 8:30 a.m for networking. We recommend you arrive at least 10 minutes early to check in, get coffee, and to get a good seat. Sessions conclude at 11:30 a.m., an additional 30 minutes of content compared to last year. · May 2: Board vs. Staff: Whose Job Is It? How can I learn more about the topics and presenters? Please see session descriptions and presenter information here. I have registration questions or need help. Whom do I contact? Please contact IUW Training Associate Bea Northcott at bea.northcott@iuw.org or call 317-441-5295 (office direct) for registration questions. For questions about The Community Foundation Greater Fort Wayne, please contact Christine Meek, Director of Community Impact, at cmeek@cfgfw.org or 260-426-4083. Melanie is passionate about philanthropy and the success of individuals and organizations that enhance the world in which we live. Her unique and broad-based background blends for-profit and not-for-profit experience in both business and fundraising. This specialized lens provides for a deep and comprehensive understanding of traditional business practice and allows her a creative, intentional and outcomes-focused perspective. 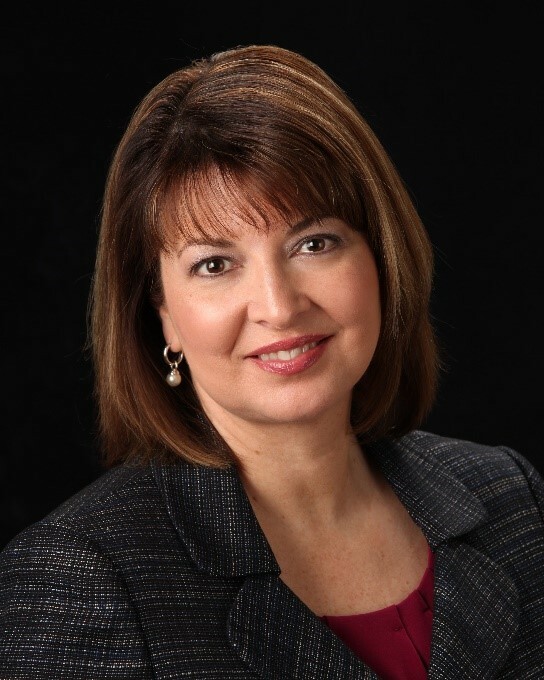 Prior to starting NPC, Melanie worked in development and alumni engagement at DePauw University and Franklin College, as a consultant with Johnson, Grossnickle and Associates, and in the Retail and Trust & Investment Advisors divisions of Fifth Third Bank. After receiving a Chemical Engineering degree from Purdue University, Lucy began her career working in the utility industry, starting in Quality Assurance at a nuclear power plant and then moved into regulation and operations for natural gas. After 14 years she decided to transition to “something more meaningful” and began her United Way career as a loaned executive in 1997. After working in fundraising at UWCI for 15 years and working closely with Finance and leading the internal technology advisory team for many years, she was asked to move to a leadership role in Operations and oversee Technology for the organization. She currently sits on the Board of Directors for Indiana United Ways, a statewide association. She is particularly astute at recognizing network and technology vulnerabilities and addressing them using efficient, practical, and cost-effective methods. Tim provides a breadth of fundraising experience across a variety of nonprofit sectors, focused on annual fund development, individual and planned giving, and major gifts and campaigns. Prior to joining JGA in 2014, Tim served as Director of Institutional Advancement for the Indianapolis Zoo, where he directed a successful $34 million capital campaign and launched a $10 million endowment campaign. Tim previously served in fundraising roles at Arc of Indiana, the Ronald McDonald House of Indiana, and Delta Sigma Phi National Headquarters. An active member of Indiana’s philanthropic community, Tim volunteers his time with the Association of Fundraising Professionals – Indiana Chapter, serving in various leadership roles.